Ella Jones, center, looks up at the television during last week's election in Ferguson. 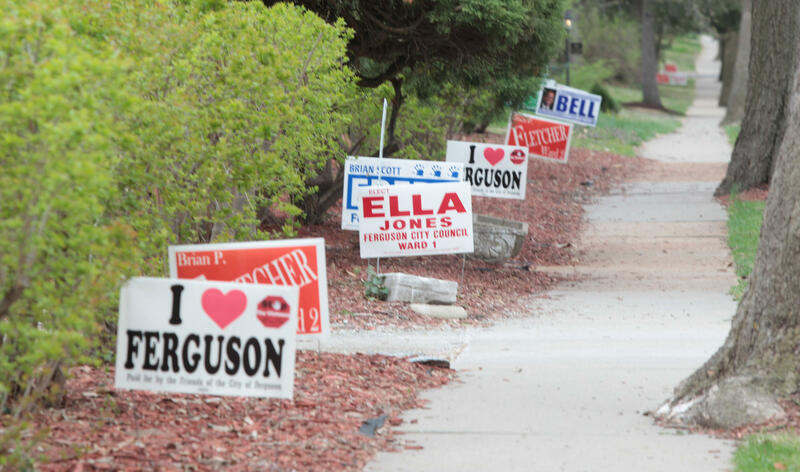 Jones easily won a city council race in a suburb that's been rocked by strife and discord. One of the people at the eatery was Sandy Sansevere, who called Jones a “sister from another mother.” The longtime Ferguson resident said that even though the election for the Ferguson City Council received worldwide publicity, progress would come from within. In many ways, Sansevere’s sentiments played out in Tuesday’s results. While Jones had some support among activists spurred to action by Michael Brown’s death at the hands of a former Ferguson Police officer, the other two winners – Brian Fletcher and Wesley Bell -- did not. And that provides a bit of a mixed signal about how the beleaguered city will face its looming challenges. Still, those who helped some of the losing candidates see a lot of progress in Tuesday’s election – even if the contenders they supported didn’t win. Not only did the larger-than-normal turnout showcase engagement from Ferguson residents, but it could mean they’ll be more vigilant about holding elected leaders accountable. Municipal elections in St. Louis County are traditionally low-profile – even though cities tend to have the most direct influence on daily life. But after Brown’s death and a scathing Department of Justice report on the city’s police department, international interest focused on the eight candidates who ran for three open seats on the Ferguson City Council. National money and manpower from organizations sympathetic to protesters also helped Bob Hudgins and Lee Smith, the candidates who lost to Fletcher and Bell. Fletcher was Ferguson’s mayor for two terms, which ensured sizable name recognition. He also gained publicity after Brown’s death for spearheading the “I Love Ferguson” committee, which raised money for businesses affected by the unrest. Bell could depend on an experienced and motivated campaign team that he cultivated during an unsuccessful run for the St. Louis County Council. He also had ties within the community through his work with the Ferguson Youth Initiative. And even though Hudgins and Smith received help from groups such as the New York-based Working Families Party, it may not have been that effective. That’s the opinion of Tony Rice, a Ferguson resident who helped with Hudgins’ campaign. Bell faced criticism for being a municipal judge and prosecutor at a time when that system is under scrutiny. Bynes said there is something "not quite right about being able to play in all those roles at the same time," referring to how Bell will hold judicial, prosecutorial and city council jobs. But Bell said last Friday that those attacks actually gave him a chance to talk about his desires to change municipal courts for the better. Wesley Bell bounced back from an unsuccessful St. Louis County Council race to prevail in a Ferguson City Council contest. “And that’s what we did,” he added. “And it seemed to work. And while he stressed "having your voice heard after a young man is killed in a peaceful, constructive manner" is "every American’s right," Bell added that the outside groups may have overplayed their hand. "People were saying ‘Look, we know we need change.’ We know we have issues that we need to address," Bell said. "But those changes are going to be advanced by Ferguson residents. And that’s what people didn’t like." When the three new council people are sworn into office later this month, they’ll face stark challenges – including picking a permanent city manager who will run the day-to-day operations of the city. Brian Fletcher, center, is opposed to dissolving Ferguson's Police Department, along with the other winners of last week's election. They’ll also have to tackle ways to revitalize business corridors affected by rioting and arson and decide how to proceed with the Justice Department report that accused the city’s law enforcement apparatus of fleecing low-income African Americans. The path forward may not go as some national observers expect. None of the three winners supports dissolving the police department and contracting with the St. Louis County Police Department – which occurred in nearby Dellwood. And it’s highly unlikely that the federal government could force the city to make such a move by fiat. Bynes said that the opposition to dissolving the department came from two tracks. Some Ferguson residents, she said, have never had a problem with the department and are skeptical of the Justice Department’s findings. “The answer is fix what’s here. And with the help of the federal government and the federal monitoring, I think that’s the process that people have the most faith in,” she added, alluding to the possibility of a federal monitor from a consent decree. Bell said he’d like councilmembers to play a bigger role than usual in picking a new police chief, a task usually given to the city manager. And he added that councilmembers might want to take a look at how much power Ferguson’s city manager should possess. Bynes’ main job as a Democratic committeewoman is trying to boost voter turnout. 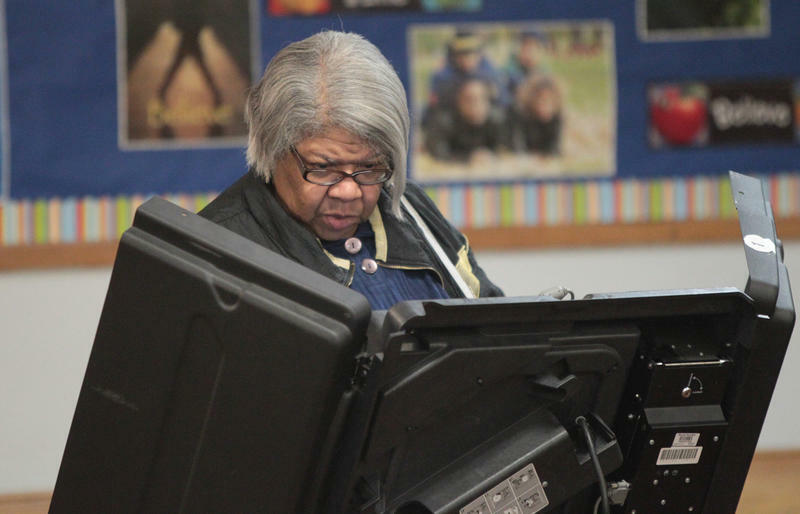 And even though Hudgins and Smith didn’t win, she sees a lot to like about the bolstered participation in traditionally lethargic municipal elections. Bob Hudgins, center, says his run in Ward 2 was needed to provide voice to those who hadn't been heard in Ferguson city government. 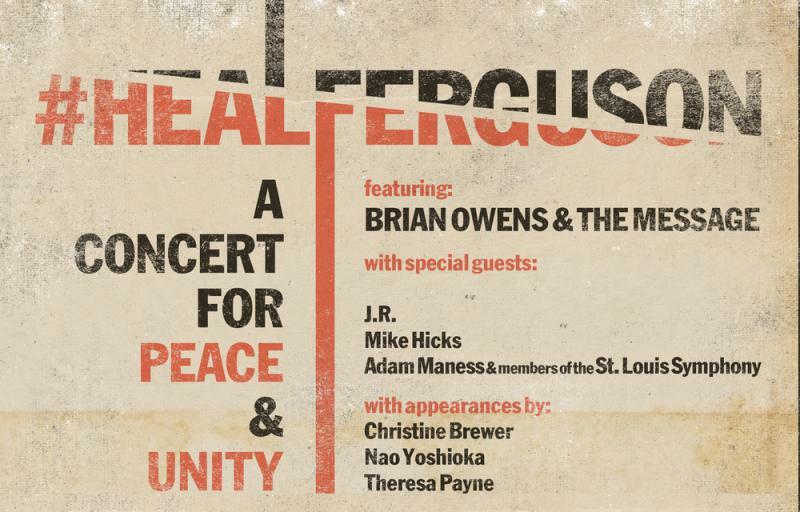 "The folks that haven’t been heard for awhile will be from this point on in Ferguson. And I’m talking about African-Americans," he said. And Bynes said it’s significant that the city council is adding more African-American members. She said it provide more than just symbolism to the majority-black city. “So when you see someone who has broken through that glass ceiling, at least you know ‘OK, this is something that seems more obtainable to me,’” she added. Jones said the election results -- and the addition of diversity to the council -- are reasons for optimism. "The only place we can go is up. That’s the only place we can go," she said. "We’ve been down. Now, it’s time to get up, pull ourselves up by our bootstraps, start working and put a new face on Ferguson." In the west St. Louis County contest for the open 7th District seat on the St. Louis County Council, Ballwin Alderman Mark Harder has received the endorsements of a number of Republican heavy-hitters, including retiring Councilman Greg Quinn and state Auditor Tom Schweich. But his chief rival for the GOP nomination – Ellisville Mayor Adam Paul – believes that support may backfire and help Paul, who embraces his own renegade image after he beat back an impeachment effort in 2013. Tony Rice was waiting very patiently yesterday outside Ferguson City Hall. With a cell phone in hand, Rice was awaiting the official announcement of Ferguson Police Chief Tom Jackson’s departure, which sparked protests later that evening, which ended with two police shot. 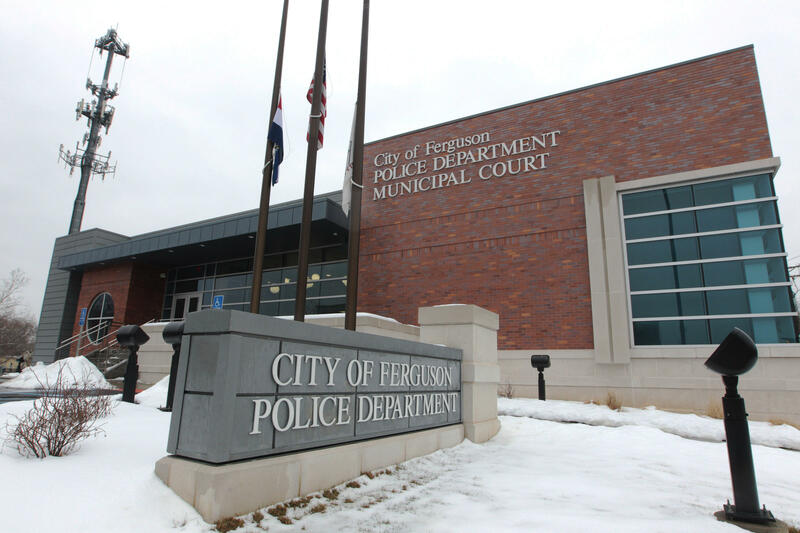 The Department of Justice’s report detailing the excesses of the Ferguson Police Department has prompted plenty of analyses and speculation about whether the town of roughly 20,000 would change its ways.